CDR Padalka had several hours set aside for installing and connecting new control and navigation hardware for the Russian MRM-2 (Mini Research Module 2), to be launched on a Proton later this year (Flight 5R). Another reference to MRM-2 flying on Proton. Grant Imahara: Oxygen deficiency alarm? Is that something I should be worried about? NASA worker: Only if it goes off. Another wrong info. MRM-2 will fly on Soyuz-U. Let's not return to this question again and again. Yes, MRM-2 will be launch atop Soyuz-U rocket, but why NASA's consolidated launch manifest say that MRM-2 will fly on Proton in Nov. 10, 2009? Some МИМ-2/MIM-2 photos are up at the Energiya site. Some МИМ-2/MIM-2 photos are up at the Energiya site (English page not available yet). MRM-2 Mated Configuration for docking with ISS Zvezda zenith port, like Pirs DC-1. Thanks for that. It seems to be a no-glove environment... the Russians seem to take "contamination" with hair etc. not so serious as others. Well, at the end, why should they - it's not like anybody is going to die from that. It doesn't look quite finished yet. Anybody know when they will start testing the module and get it to Baikonour? 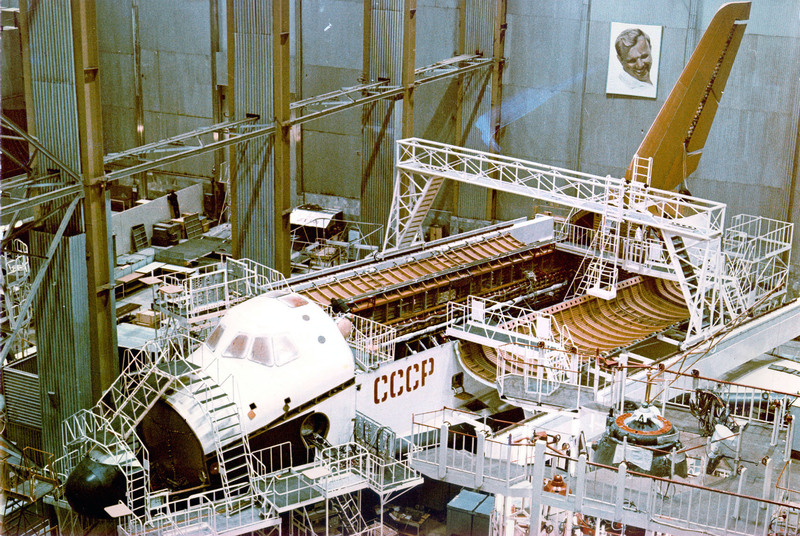 There's a Buran test model in the background in a pair of images (here and here) You can also see an avionics&propulsion module for a Progress or Soyuz... and an intriguing maze of white scaffolding in one of the pictures. Could it be the MLM stand? It is Soyuz spacecraft completely for exhibition. Nothing intrigue, it is simply an electrical analogue of Zvezda module. I looked on the Buran site but could not figure out what model it was? It is 3M (or OK-KS) full-size test model. I like the idea of having the MRM-2 (Russian airlock) as the same name (in translation) as American airlock. Consolidated launch manifest has been corrected. Perhaps people from NASA read this forum. Very enlighting read. The Russians want the ISS up there even past 2020!! module and the new ASM will control the ISS. I can understand following news well. operating the ISS and undock them,"
Don't bet your money on it guys. And as for that 'piloted station' or something. As much as I'd like it. It's not going to happen. These are nice powerpoint presentations, but no more than that. I'd be happy to be proven wrong though. I always consider space to be the FIRST frontier.